Can I test drive ARchitect before I purchase a seat license? Absolutely! We encourage prospects to use ARchitect for 2 weeks to personally experience how intuitive it is to use and to understand the sheer power of ARchitect. We’re confident that after seeing the information and software in action you’ll quickly integrate it into your AR program. Can I integrate my existing AR information into ARchitect? Yes, and many of our customers do this. We can import your existing analyst and influencer contact details and historical analyst interaction data into ARchitect. Your information coupled with the information in ARchitect will allow you to hit the ground running upon implementation. How involved is the ARchitect implementation process? Implementation is seamless! ARchitect is web-based so the process is done remotely saving you the high cost of hosting a setup team. We work closely with the individual you choose as your site administrator. Together we set up the site, create user access and implement all of your site customization. This process usually takes less than a week. What are the system requirements for ARchitect? ARchitect is a hosted solution and requires no IT support. To access it you need internet connectivity and be running any major browser. Tablets and smart phones are supported. We adhere to the most stringent industry security standards. Your company will have its own secure site. All users are required to login via a secure password; only team members that you have designated can access the site. All ARchitect pages are accessed via secure 128-bit SSL encrypted communication. 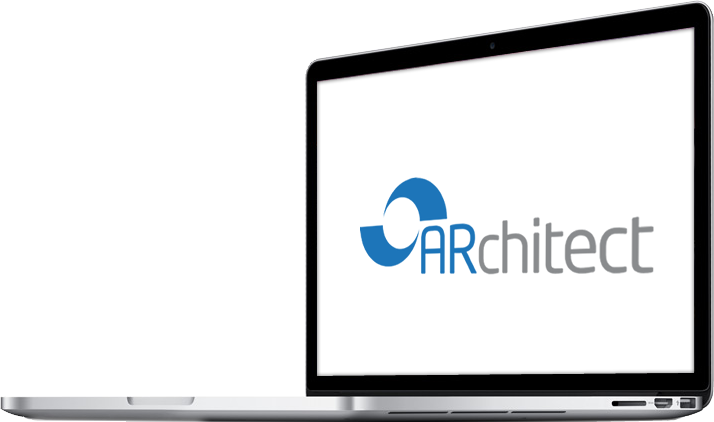 ARchitect provides access to information and tools –regardless of location– because ARchitect is accessed through a web interface. Critical information can be delivered to your laptop, home PC, or smart phone. As a result you work with real-time information 24/7. What training is needed to use ARchitect? Initial ARchitect training will get team members up and running quickly. The training will include the basic functionality of ARchitect. Our support staff will work with your designated system administrator to customize your site to meet the needs of your organization and subsequent training will be custom designed to reflect the specifics of your site. You also have unlimited access to our customer support line. On-going training includes our free Best Practice Training webinars and access to our comprehensive training library. Additional training can be customized as users become more sophisticated or if you have a specific business need that ARchitect can solve. The ARchitect training team will work with you to customize a training program to ensure that all your training needs are met. Yes, you have access to our support line via the phone and email. How much are seat licenses for ARchitect? The price depends on how many seats you want to purchase for your organization. We can develop a detailed proposal outlining the cost and benefits specific to your company.